Celebrate Black History Month with West Coast’s hottest Afro-Brazilian band! 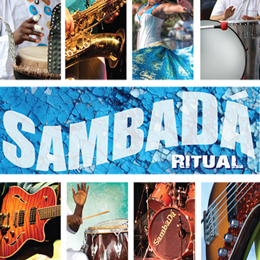 Based on the rich musical traditions of Brazil, SambaDá is known for its high-energy percussion, danceable grooves, visually dynamic show, and Carnival-like performances. Dandha’s Afro Brazilian Dance Workshop is an invitation to explore the rich world of Afro Brazilian Dance traditions with a gifted and dedicated teacher. 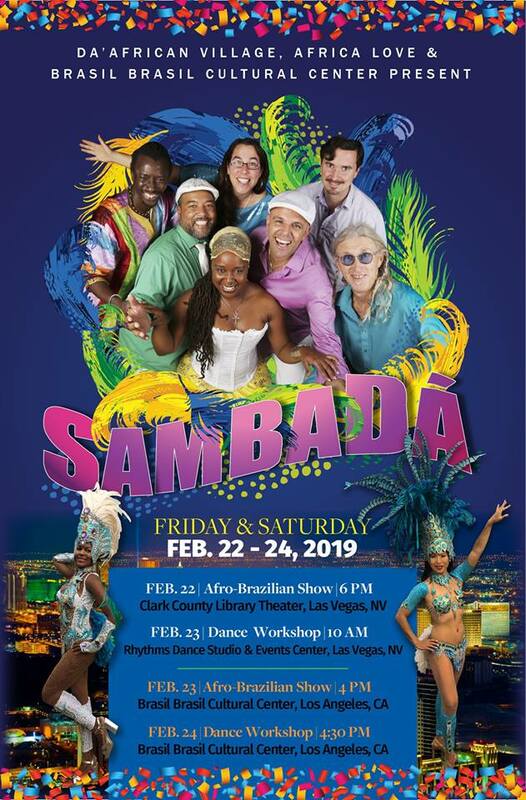 Her classes and workshops focus on folkloric and Orixa-inspired dance, Samba Afro and Samba Reggae – as well as other Brazilian dance styles – and feature live drumming by talented local musicians. Dandha welcomes students of all levels and backgrounds. Everyone will find challenges and inspiration in her dancing and teaching! Born and raised in Salvador, Bahia, Dandha Da Hora has been a member of Ilê Aiyê, one of Brazil’s most important musical and cultural institutions, since she was 6 years old. In her teaching, as well as in her performances, Dandha invokes the incredible spirit of Salvador, Bahia, Brazil and of Ilê Aiyê. A master dancer and dance teacher, as well as vocalist and percussionist, Dandha honors the incredible gifts of her culture every time she performs. As a lead dancer with Ilê Aiyê and one of the lead vocalists of music group SambaDá (based in Santa Cruz, CA), Dandha has shared the stage with Brazilian stars such as Caetano Veloso, Gilberto Gil, and Daniela Mercury. •	6:00 PM – Enjoy a welcome reception featuring local vendors. •	7:30 PM – 9 PM – Showtime! !